Best ever reception of Rádio Nacional de Angola broadcasting from Luanda, Angola. Recorded: 27.02.2014, 1859 UT, 60 Meter Tropical Band, 4949,75 kHz, G33DDC Winradio Excalibur PRO/CSO, 78mt Windom. Radio Hapi Isles, Solomon Islands. https://remotedx.files.wordpress.com/2014/02/9545_sibc_250214_2025.mp3Recorded 25.02.2014, around 20 UT, 9545 kHz, Winradio Excalibur PRO/CSO, 78m HARI Windom. 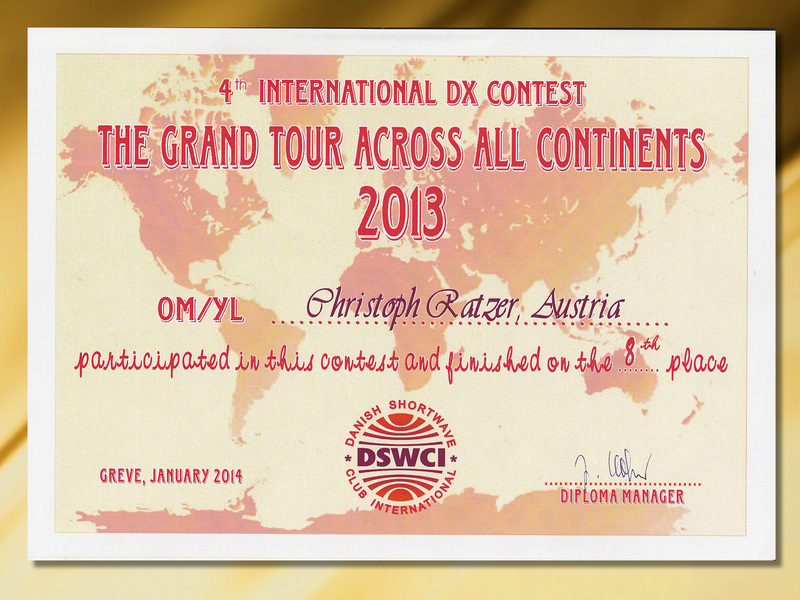 The certificate of the ODXA Challenge that I could win in 2014 after 2013. 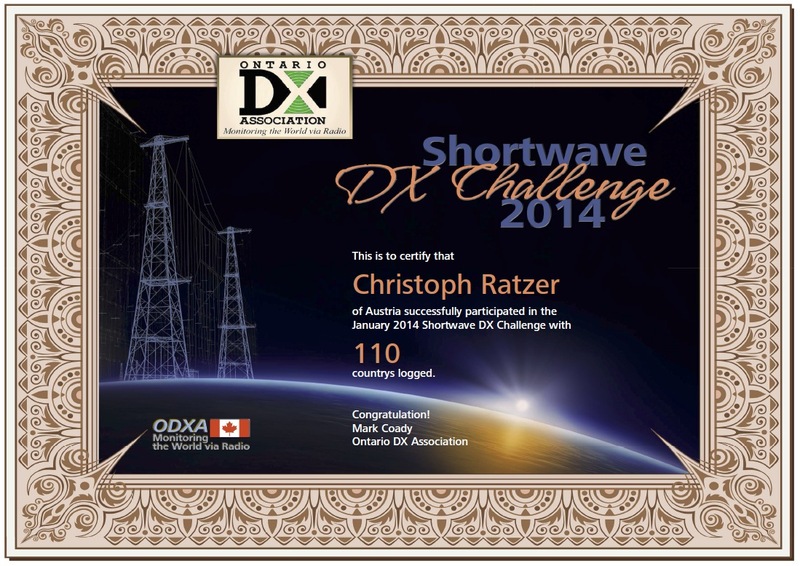 Many thanks to the ODXA and Mark Coady for this lovely contest. My price, I again give further as last year to the highest ranked Indian DXer. Rádio Nacional de Angola broadcasting from Luanda, Angola. Recorded: 08.02.2014, 1859 UT, 60 Meter Tropical Band, 4949,75 kHz, G33DDC Winradio Excalibur PRO/CSO, 78mt Windom. KNLS, Anchor Point, Alaska. Recorded: 02.02.2014, 0957 UT, 9655 kHz, G33DDC Winradio Excalibur PRO/CSO, Beverage 250 mt.